Every season there is one trend that dominates the fashion world. Ever since Fashion Week wrapped up last February, it was clear that plaid will be everywhere for the Fall/Winter of 2017. It has been in the pages of every magazine, on the windows of every store and on anyone who is related to fashion. It is been so popular it actually dethroned velvet as the biggest trend this year. As a respected fashionista, I have to jump on the bandwagon and rock my own Glen Plaid pants. This trend is not new to me. 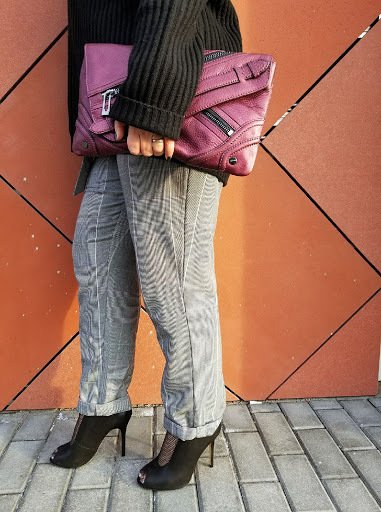 I have been loving and wearing plaid (accept for plaid shirts, so not my thing) for years and actually have a great old pair of wide leg D&G pants in my own collection. I am planning to wear them soon and create a separate post about it. The ones I am wearing today are from Who What Wear collection in Target. I know I have been shopping way too much in Target, but you can’t help yourself when the styles and the prices are this good. I originally saw the pants when they first came out in Spetember, but to me no matter how low the price is (with very few exceptions) I just don’t like to pay full price. So I waited for few weeks and ……they sold out. I was so upset, because I wanted them so bad. I checked my local store and they had nothing left. I went online and they were completely sold out. And this is when I started checking every day on the website to see if someone would return them and they would appear again. Thankfully they did, and guess what, they were on sale for $16.98. So it was a happy ending for me, but also a lesson learned….Iif I really like something, maybe it’s not a good idea to wait too long. 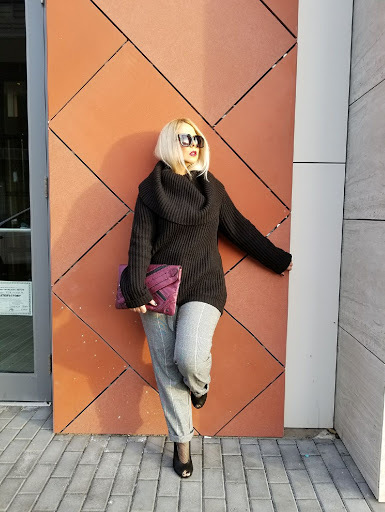 I am very big on turtlenecks in the winter and my cashmere DKNY was the perfect pair for the pants. This sweater is so thick and luxurious, you can wear it on its own during the winter. You will never bielive it that it was a thrift find for $4.99. My clutch is from a sample sale last year and is Sanctuary for only $10.00. 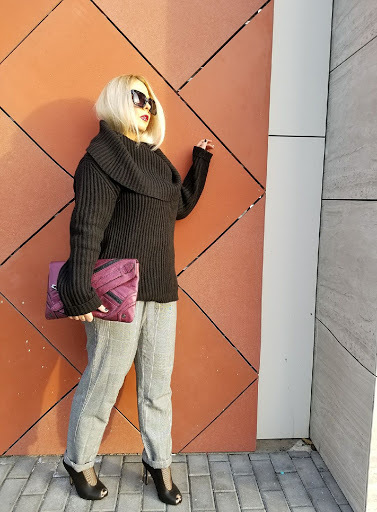 The shoes are from Karen Millen, also a great sample sale deal for only $30.00, down from $225.00 They look exactly like the Gianvito Rossi which I linked below for you along side a cheaper option from DSW. 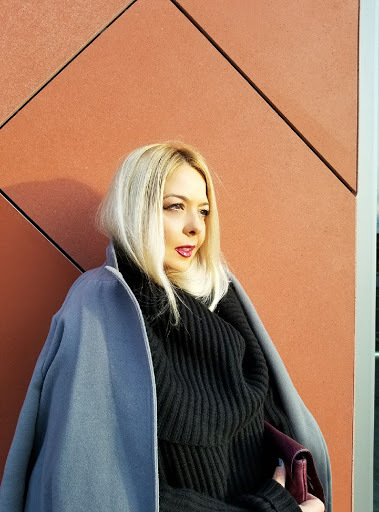 I topped everything with a coat also from Target I got last year on sale for only $19.98. If you like my look and want to create your own check the links below and let me know if you are loving the plaid or you had enough of it.